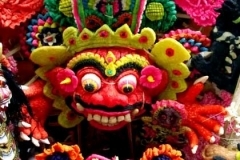 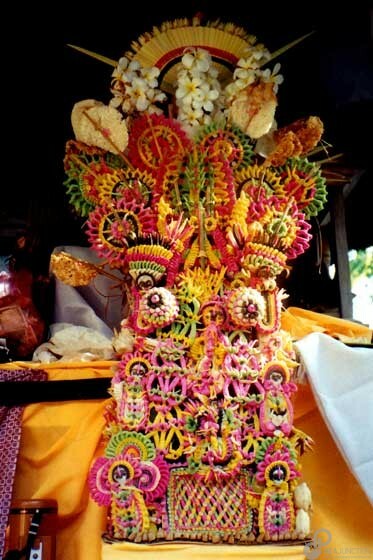 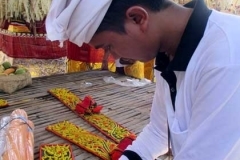 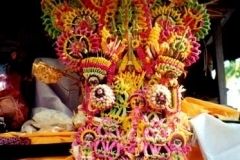 Offerings on the island of Bali in Indonesia are an artistic tradition for Hindu-Buddhist religious events, rites of passage, ancestral worship, and animistic ceremonies. 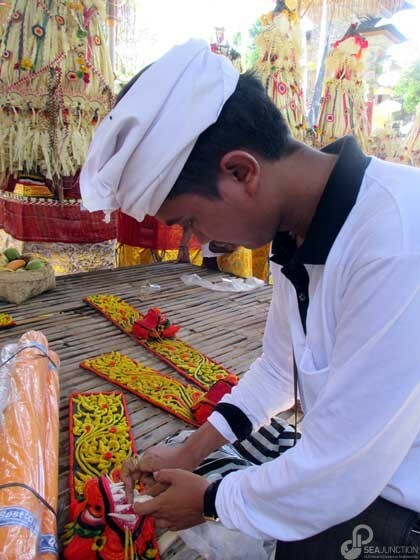 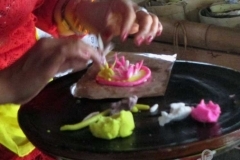 Usually they are prepared by women, but for large ceremonies the men get involved by creating enormous offerings that represent the universe. 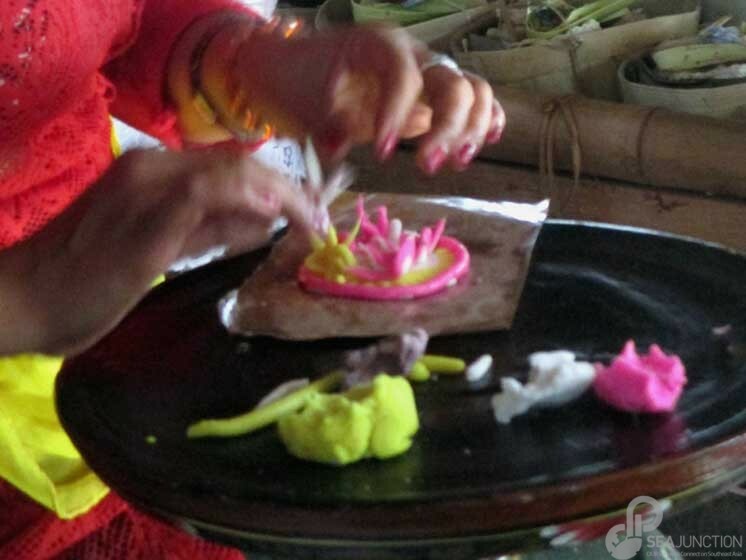 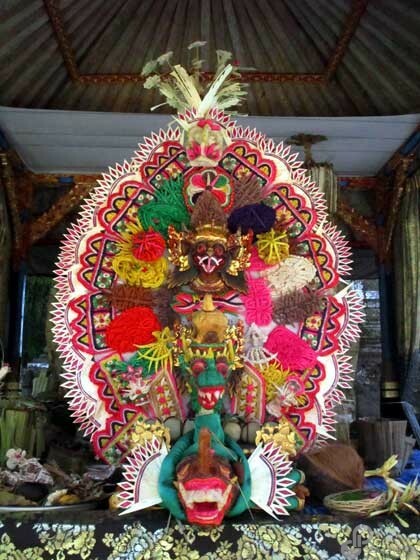 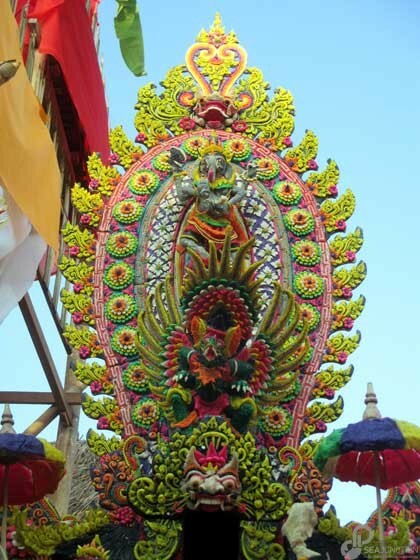 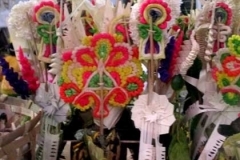 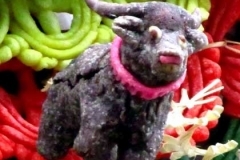 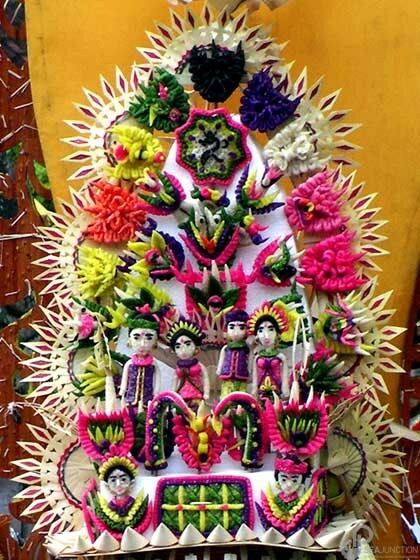 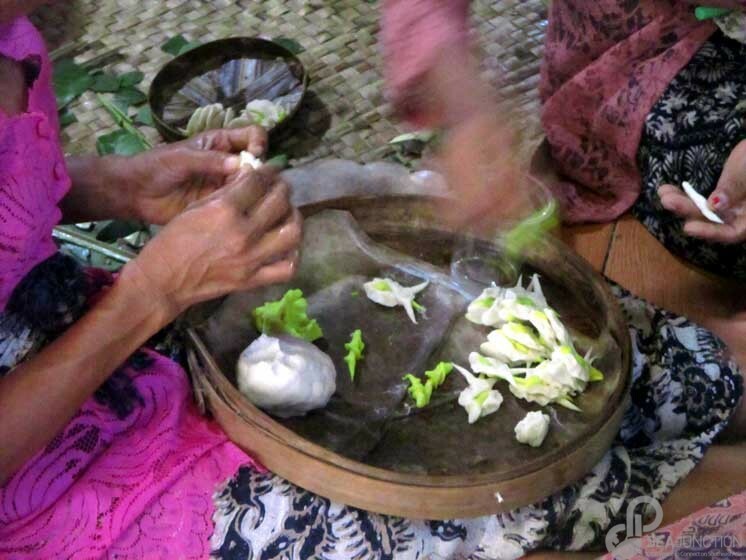 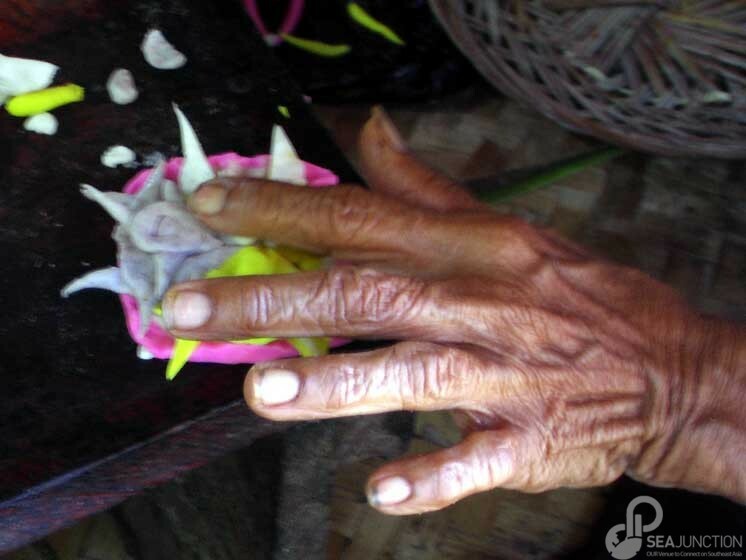 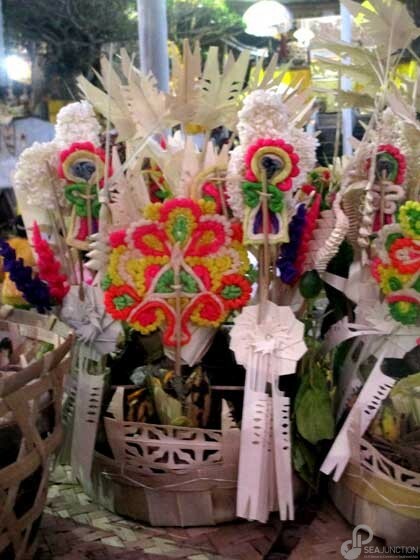 For the offerings, palm leaves, flowers, fruits, rice, and meat are shaped and assembled into an enormous variety of symbolic forms, special colors, and specific amounts that are defined according to Balinese cosmology. 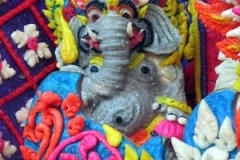 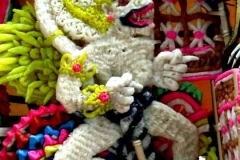 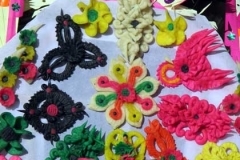 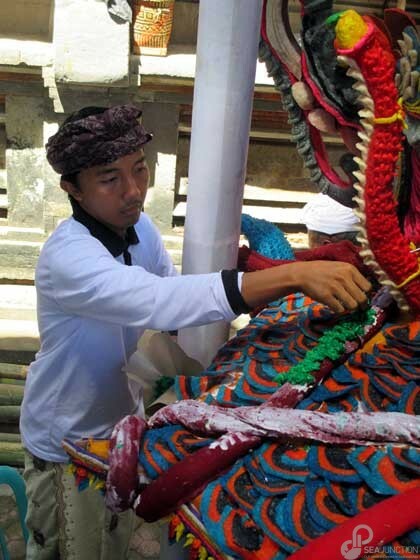 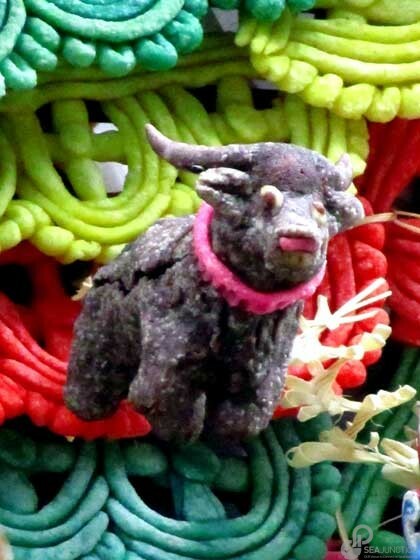 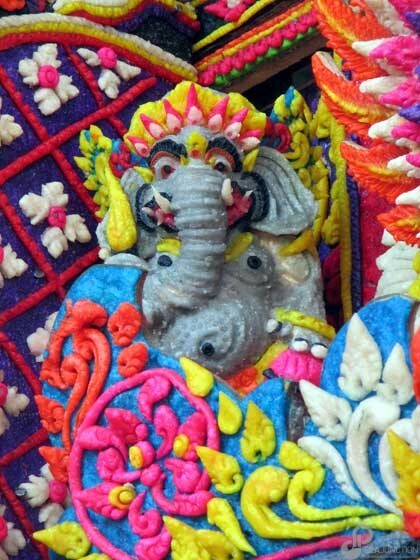 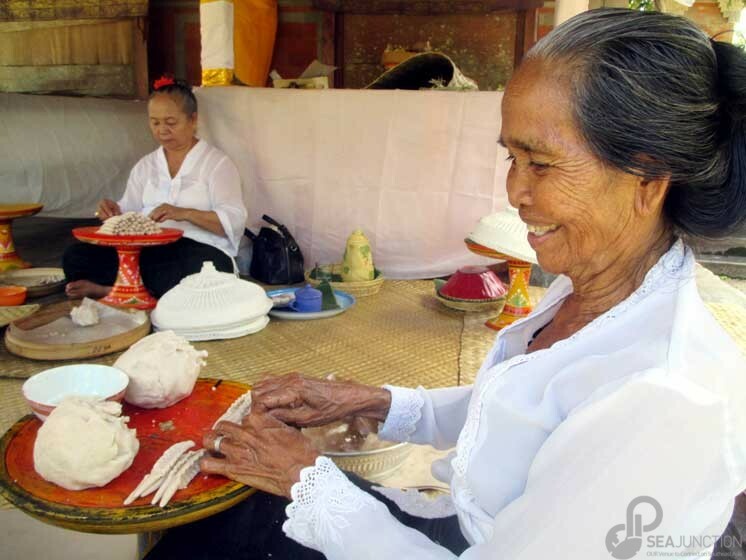 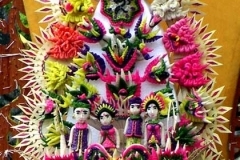 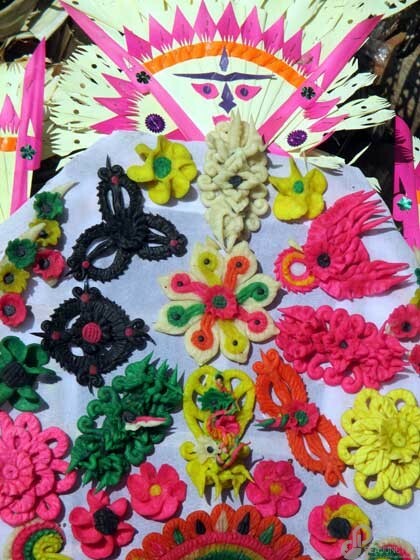 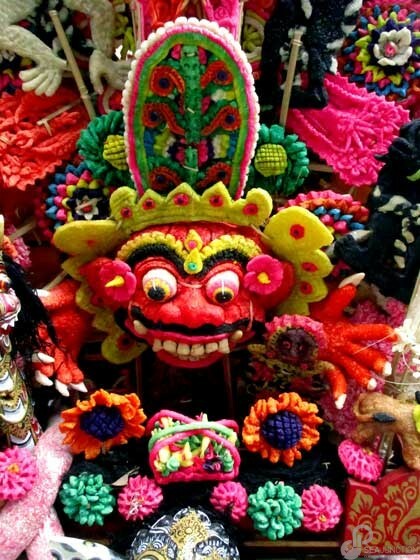 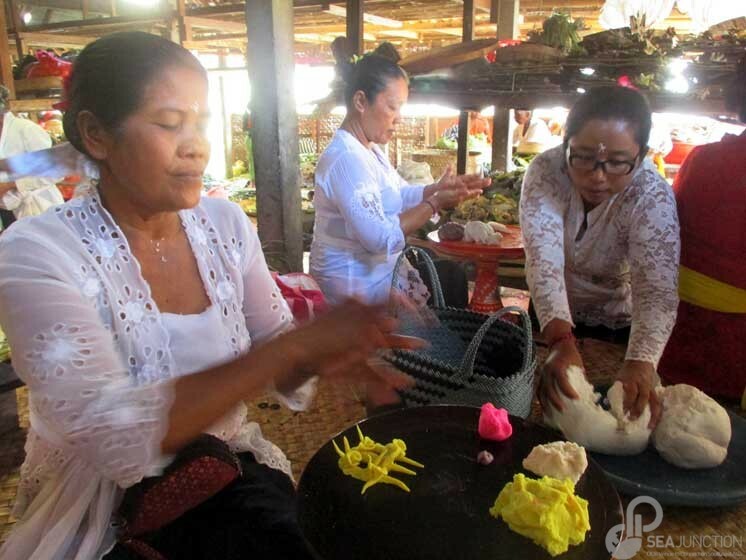 This series features a particular kind of Balinese offerings, the cacalan or rice-dough offering figures made in different colors of rice-dough from a combination of rice and glutinous rice flours. 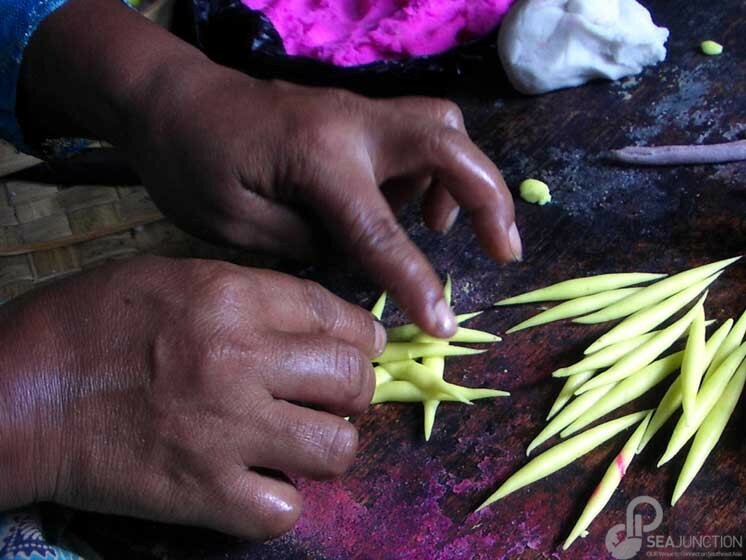 There are many variations across the island, from village to town to city to region, from simple symbolic shapes to more figurative forms such as flowers, animals, and humans. 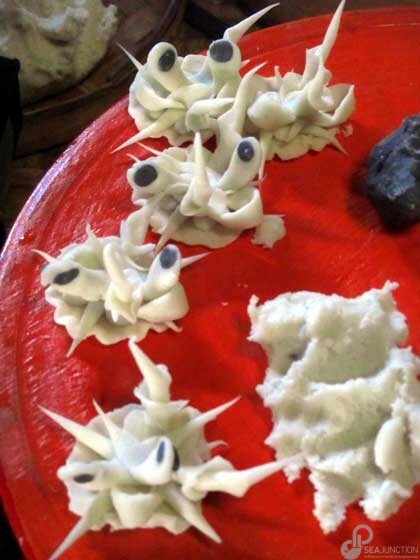 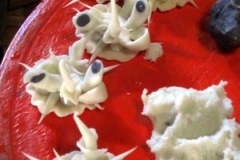 After being made, are allowed to harden naturally or can be fried. 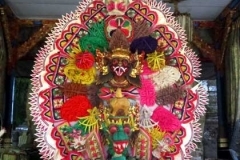 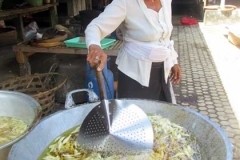 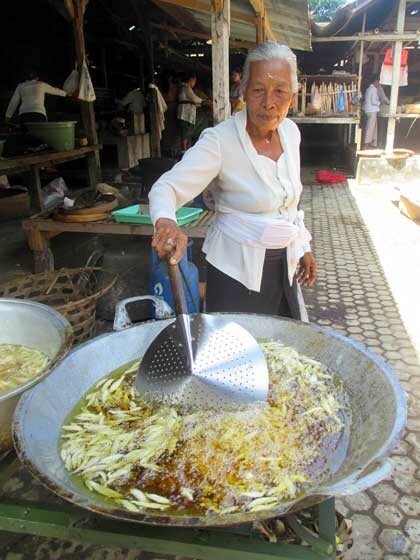 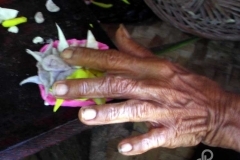 Garrett Kam, a native of Hawai, has been living in Bali since 1987 where he became a ritual assistant at Pura Samuan Tiga (Temple of the Tripartite Meeting). 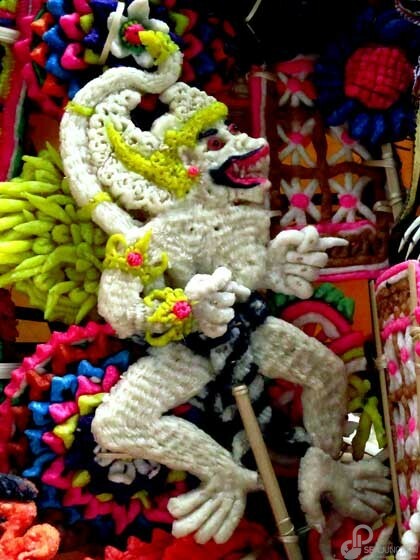 He has given many lecture-demonstrations and dance performances throughout Southeast and East Asia and the USA, and is the author of “Ramayana in the Arts of Asia” as well as many books and essays on Balinese and Indonesian art for exhibitions that he curated.